Vodafone’s Australian operations will become part of a new group as an AUS$15billion (£8.4billion) merger with TPG Telecom was agreed today. Vodafone Hutchison Australia and TPG will merge into a new group which is set to challenge Australia’s two biggest telecoms companies, Telstra and Optus. 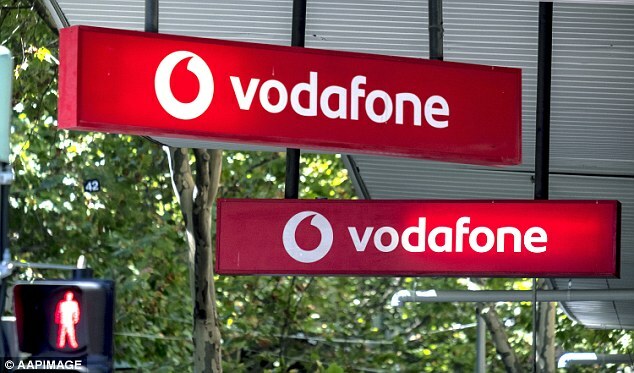 Vodafone Australia, owned by Hong Kong-based CK Hutchison and Vodafone Group, will have a majority 50.1 per cent stake in the merged group. TPG will hold the remaining 49.9 per cent stake. Vodafone Hutchison is the third largest mobile operator in Australia, with a mobile customer base of approximately 6million subscribers. TPG has Australia’s second largest fixed line residential subscriber base of over 1.9million customers. The new group will have combined revenues of more than AUS$6billion (£3.4billion) and underlying earnings of more than AUS$1.8billion (£1billion). Nick Read, chief executive designate of Vodafone, said: ‘This transaction accelerates Vodafone’s converged communications strategy in Australia and is consistent with our proactive approach to enhance the value of our portfolio of businesses. The merger is expected to be completed in 2019, subject to regulatory and shareholder approval. Vodafone Group shares were down 2.7 per cent at 168.24p.